If the fear of looking like a Christmas ornament on steroids is fueling your aversion to bronzers, this tutorial will help nip your phobia in the bud. In truth, achieving healthy, radiant skin takes more than just foundation and a swipe of your favorite concealer. The only beauty product that will give you that effortless J-Lo glow is a bronzer. Watch this tutorial for some clever tips on how to apply bronzer to your cheeks, eyes and nose. Here’s a rule of thumb for choosing bronzers: Find a hue that is approximately one to two shades darker than your natural complexion. Anything darker will look unnatural. If you want to avoid the dreaded too-bronzed look, skip bronzers with shimmer. 1. Apply your preferred bronzer shade around the perimeter of your face in a circular motion, starting from your forehead and ending at your jawline. 2. 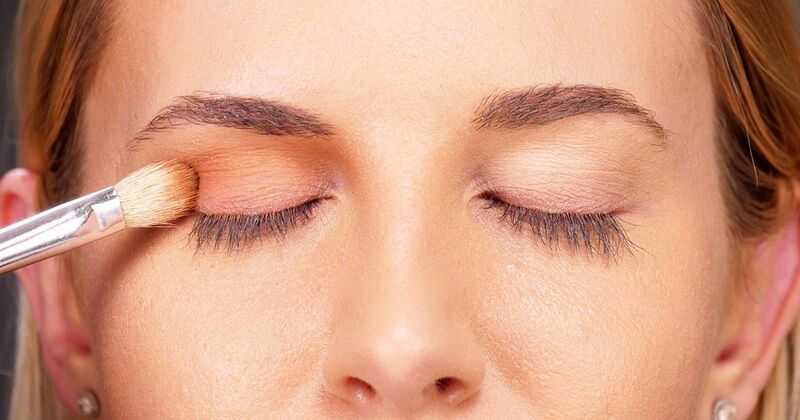 Use a smaller blending brush to add the bronzer around the corners of your nose. 3. Add the bronzer to your eyelids and continue to blend using the same circular motion as before. 4. Repeat steps one, two and three on the other side of your face.